I like mocha flavour cup cake. Its very soft, flavourful of coffee taste(perks me up in the morning) and convenient to carry around whenever i am on the go. Good for people who likes light breakfast. Saya sukakan kek cawan perisa cheese. Sedap dan lembut. Anak pun ikut suka. 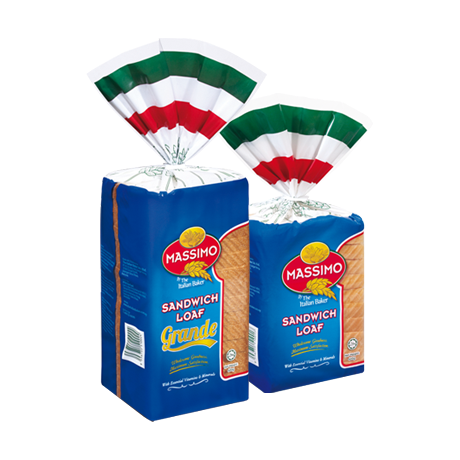 Sy memang bkn penggemar roti atau kek.. Tetapi, first time rasa kek chiffon massimo, jatuh hati terus dgn teksturnya yang lembut, rasa yang sangat enak, kurang manis.. Memang terbaik..
Kek chiffon Massimo merupakan kek pilihan kami sekeluarga..kek yang sangat lembut dan sedap juga tahan lama sesuai dibawa bekal kemana sahaja. There are various of flavor for this Chiffon. I have tried all of the flavor and my favourite flavor is classic. The packet is just nice and very convenience to bring it everywhere especially ready for break time. My son favorite. When ever not enough time to eat before tuition my son will grab this is his dinner. The cup cuke is soft and nice to eat. This cup cake have different tastes and flavours, I like all of them! They are delicious and nice in their own flavour, the first bite I made was unforgettable. Once the plastic bag is opened, the smell spread through the air and make me swallowing my saliva. The cupcake have combination of sweetness and salty. Muffin ini sangat lembut dan sedap. Ada sedikit manis tetapi Ia masih sesuai untuk dijadikan sarapan pagi saya. Harganya juga berpatutan. Budak-budak di rumah juga gemari dan menjadikannya sebagai salah satu pilihan sarapan. This cup cake is very smooth and delicious. 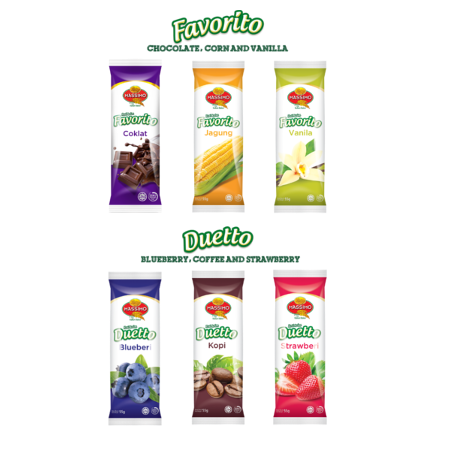 There are also choices of flavor that you can choose: classic, mocha, cheese and pandan coconut. And the most important is, you can get it for around RM1.20, which is consider cheap. Recommended! Honestly speaking, the first time i try classic flavour, it is very nice! It is so soft and taste good! I like it very much. Unlike the other cake, they are not as soft as this. This chiffon is so soft as it melt in your mouth. The price is not to expensive. my favourite is the cheese flavour. the flavour is not that strong and sweet. its just suits my taste. great for anytime snacks. Cupcake is soft .Taste is good and not too sweet and didnt taste like using artificial ingredients. Price is cheap. It is convenience packaging for me as a student who rush to class and eat breakfast in the classroom. Therefore, it is always my first choice to choose as breakfast. This is a nice cup cake to fill human stomach whenever at home, office or on the go in car. This cup cake come with nice packaging and various flavor which make everyone feel hungry to have it. The texture is soft and taste is good. Children, teenage and elderly love it very much. The texture is very soft and the taste is delicious. Great to be eaten on its own or with some added toppings. I have tried all 4 flavours. If only there are more flavour options available like chocolate or strawberry. Roti yang sering dibawa ke pejabat sebagai alas perut. Perisa mocha menjadi kegemaran saya keenakannya sering mengamit deria rasa untuk menikmati roti ini dengan penuh selera. I love Pandan Coconut! This cupcake so soft. Satu tak cukup. I love this this especially pandan flavor which is my all time favourite. 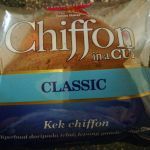 I prefer take this chiffon rather than plain bread. It’s good when we don’t have time to prepared breakfast and just eat this one. Highly recommended. as a person who travel a lot in a day to college and work. it’s really handy to have something to grab on the go. plus it’s really cheap and affordable. you can get it pretty much everywhere . love the classic and cheese one! so yummy. great for picnic too. and it’s really soft and spongy . can be eaten for little kids too. and not too sweet . very light , easy, yummy and affordable. 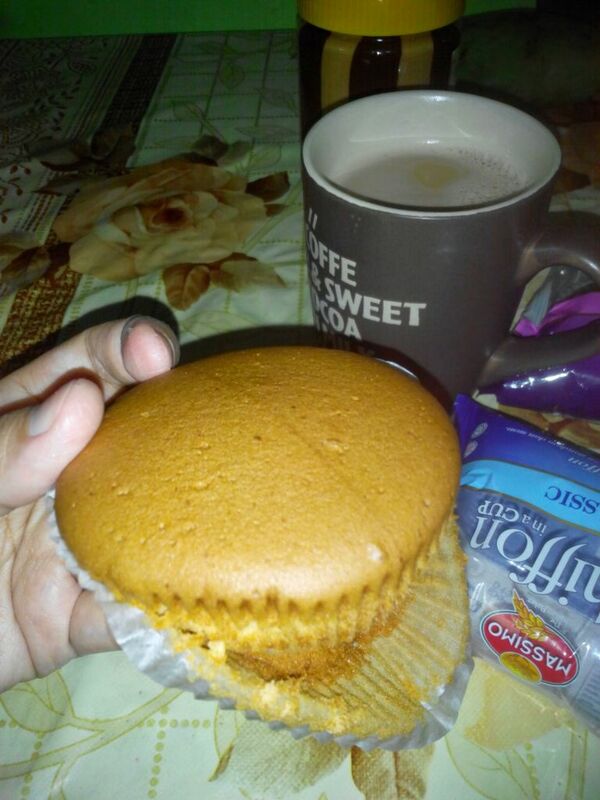 mula suka makan muffin ni dari tahun 2014 . setiap kali sebelum pergi kelas mmg wajib berhenti dekat kedai untuk beli muffin ni 3 bungkus untuk makan sampai ke tengahari . senang nak bawa & boleh kenygkan perut . paling suka yg Classic sebab original flavour is the best . Most of my friends like this cupcake so much. It will not be too sweet and it so soft. It also got a lot of favour. I love it so much!!!! You guys should try it. 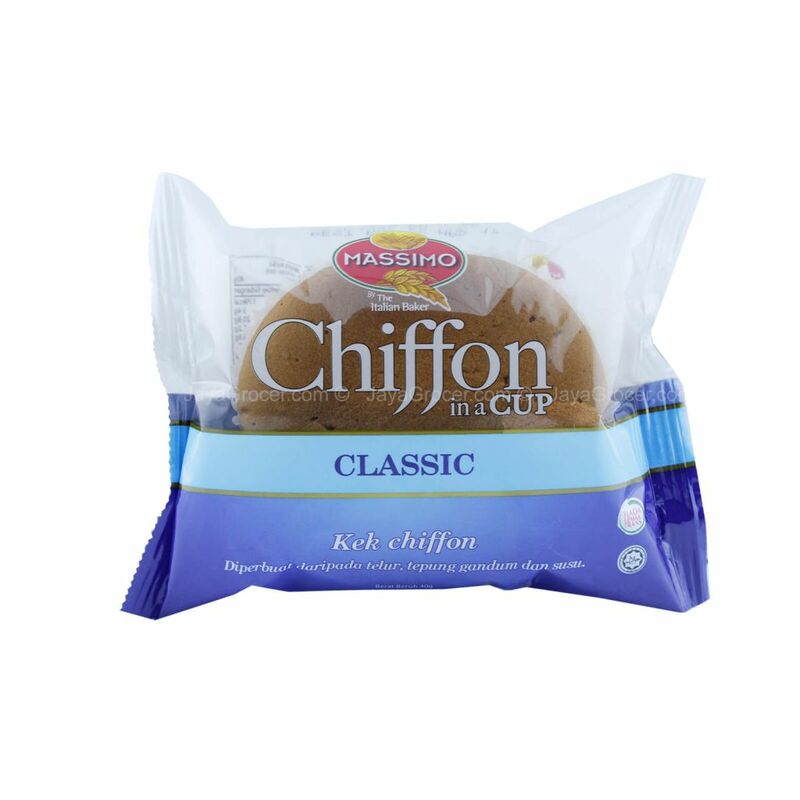 Massimo chiffon cup cake adalah salah satu kek yg sangat sedap, mudah didapati dan mudah dibawa ke mana-mana even masuk dlm poket pon boleh. Everytime sy rasa nak makan kek, just pergi ke kedai runcit grab 2 or 3 paket Massimo chiffon cake and craving satisfied! ? My son’s love to have Massimo Chiffon as breakfast. The texture is soft. Suitable for kids as easy to swallow. 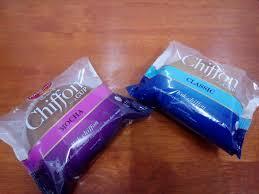 Even chiffon exist in the market a few months ago, but I very like the favorite and taste of chiffon. The price also affordable by the public, not too expensive. Massimo’s chiffon in a cup is a great choice for my busy schedule as i can have it on the go. It has many flavours to choose from and it’s texture soft and fluffy just like my mum’s homemade cupcakes. My family loves it and its a must have in our shopping lost every week! 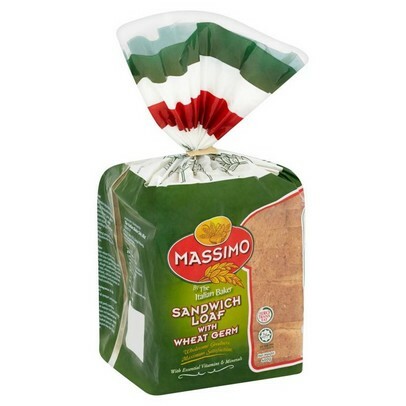 Great product from Massimo! Taste good and super fluffy, especially pandan flavor! Price is very reasonable, suitable for taking as breakfast and different flavors provided! The only weakness is it’s not so easy to get in small kedai runcit. i think the fragrance of cupcake is too over ,totally flavouring but the price is affordable and cake is fluffy enough. Taste of the product is very delicious. 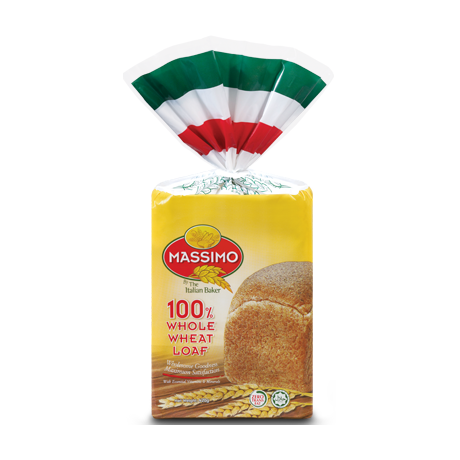 And the design of the packages are good and convenience to bring out. The price of the product is not expensive and the expired date is long enough. Usually I buy more than one for my breakfast every day. I love this pandan chiffon so much! It was so tasty and yummy!!! My fav muffin brand. My fav flavour is definitely PANDAN!! Anyone love PANDAN as I did? I will always go for PANDAN flavour, Mocha is nice too. But I don’t like the cheese flavour. Seems masimo need to improve their cheese flavour. 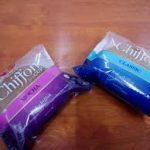 When you bored of roti/bread, chiffon in a cup is definitely my first choice! 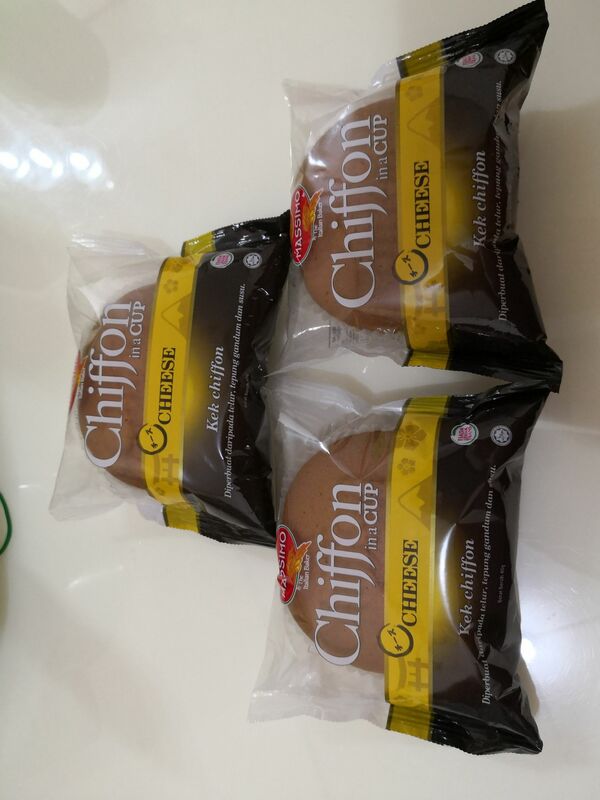 Saya menyukai massimo chiffon sejak kali pertama menikmati produk ini. kepelbagaian perisa memberikan saya pilihan untuk bertukar-tukar perisa terutama pada waktu pagi untuk memulakan hari disamping minuman enak . Sesuai untuk memulakan hari terutama jika kesuntukan masa untuk menyediakan menu sarapan yang lain. Before that, we can’t eat the cup cake of this brand at sarawak. Now we can get it especially at medan mall. 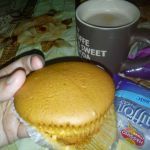 Sy dh cuba keempat-empat perisa kek chiffon in a cup massimo ni & yg paling sedap bg sy yg mocha & cheese.Mmg sgt sedap,lemak manis & cukup berperisa.Tekstur kek pun sgt gebu,lembut dan tidak berhapas spti kek chiffon biasa.Pek individu dlm cup juga memudahkan sy nikmatinya di mana dan bila2 masa.Mmg berbalouli dibeli,harga pun berpatutan. 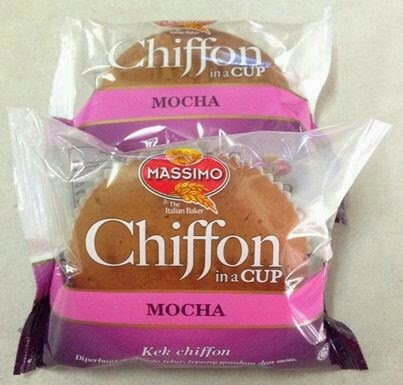 Massimo Chiffon In a cup merupakan kek cawan yang paling gebu saya beli di pasaraya. Rasa keknya yang gebu dan lembut memang menambat selera sesiapa saja. Lagi pula, rasa kek yang tidak muak membuatkan saya lebih menggemarinya. Saya sukakan perisa mocha kerana rasa kopi yang semerbak dapat dihidu sebaik sahaja membukanya. 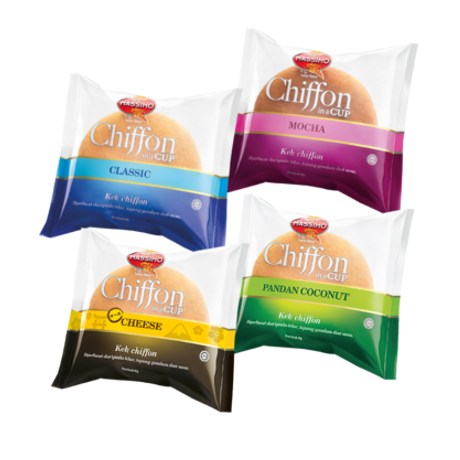 Compare to other brands, this is the best chiffon cake i have before. The taste was just nice and not too sweet. Besides that, the price also reasonable. Individual pack easy for me to bring it to work as breakfast everyday. it’s delicious , spongy，and smell good. it’s better than other brand’s cupcake.I eat this cupcake every morning. It give me energy to confront the challenge. It’s calorie is less than other cupcake. The cup cake testure soft and easy to swallow. My son love it so much. This time I choose cheese flavour because it’s new for me and the taste really nice. 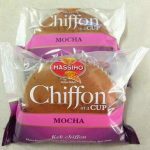 The only problem for Massimo Chiffon in a Cup is the expiry date quite long. 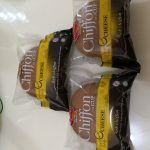 Saya sudah mncuba kek cawan chiffon berperisa mocha dan asli dari massimo ni.Utk yg asli rasanya biasa2 saja,agak manis dan tiada yg yg istimewa tentangnya.Yg mocha agak sedap,berperisa dan sy sukakannya.Untuk tekstur pula kek cawan ni mmg sgt soft dan gebu,sedap dimakan begitu saja mahupun dicicah air.Harga berpatutan & berbaloi dibeli.Peknya yg kecil memudahkan sy utk mmbawanya.Saya selalu sediakn dlm beg tangan sbgai pengalas perut bila tiada masa utk bersarapan waktu bekerja. I’ve tried almost the whole range of this product and I abslutely love the super softness of it. The price and size of the cupcake is satisfactory, however, tastewise, it is only so-so.. Nothing really special about the taste of this product. Hopefully they’ll improve the recipe so that the flavours can be enhanced and be more pronounced. 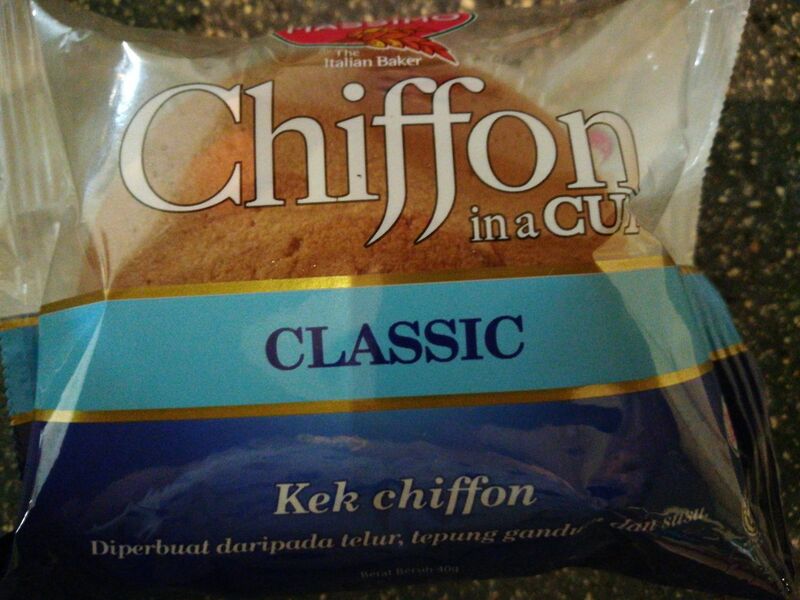 Kek chiffon massimo sedap dan gebu..Pertama kali cuba ketika beli di 7 eleven..Harganya murah dan dapat mengisi perut yang kosong jika kesuntukkan masa untuk makan..Didatangkan dengan pelbagai perisa antaranya pandan,cheese,mocha..
Saya suka kek chiffon massimo ni. Biasa saya memang bawak untuk makan ditempat kerja. Saiz kecil senang masuk dalam handbag pun boleh. Rasa memang terbaik sedap,kena dengan citarasa saya. 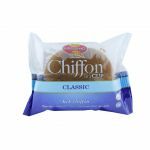 The concept of a chiffon cupcake is great and I really wanted this to be food that I can have on the go. However, while the cupcake is soft (when it’s near production date) it tends to get dry near the expire dates. Taste-wise, it lacks the flavours to really make this a product that will stay in the market for long. this Chiffon is too dry and not nice one but the price is cheap la. Massimo Chiffon In A Cup very soft ,but abit sweet for me . The cup cake is convenient to eat if you are rushing of time to do your things. The texture is abit rough and the taste is so so only. Let my kids tried before and they do not like it.